Tone 6 brings the gift of Peak Energy. We are given the momentum to reach the peak of our climb in a new effort of Spiritual Growth. The energy of Tone 6 is compared to a great athlete in motion. A way of movement takes on a rhythm and pattern of movement, combined with an unseen power of momentum. Road/EB is the Day Sign of the Human that sheds light on the Road of our Destiny. The glyph illustrates the Road to our Destiny on Human’s head. Next to the Road are the milestones that mark our accomplishments. Human helps us see the progress we’ve made to serve as our momentum and encouragement to keep going. Tone 6 brings the energy to facilitate dynamic developments. 6 Road/EB reveals Human’s way to fulfill its Divine Destiny as we are given a new sense of direction. Human is said to be the “bearer of time.” To stay on course we must navigate the darkness and the light. We must bear the time that it takes to be raised to the Consciousness of the Special Gifts we are given. Our Destiny is the Journey we must navigate on Faith. We are given a Sign along the way that we are moving in the right direction. Today is the final effort of a new accomplishment of Spiritual Growth. We are moving through the 2nd Uinal of the Tzolk’in, a larger cycle of Duality that helps us discern a new Intention for Being. A Seed that was germinated in darkness is becoming the Sprout of our New Self. Though we’ve found our way to the Light, we are yet to see the evidence of what we are becoming. We’re beginning to look like every other sprout. We’ve gone through a long passage. We’ve brought all our Faith to make it this far. We have one more step to reach the peak of our Spiritual climb. Now is a time of Accelerating Transformation. 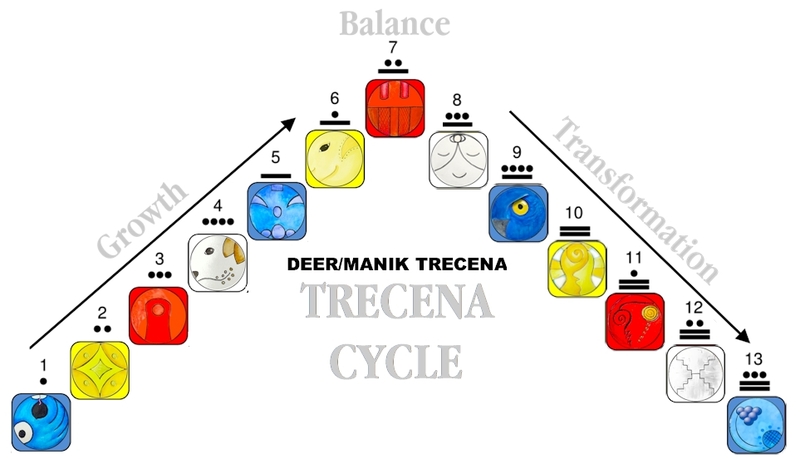 The Deer/MANIK trecena is pushing the limits of our Faith. Our greatest accomplishment of Spiritual Growth happens beyond the limit of our Old Faith. 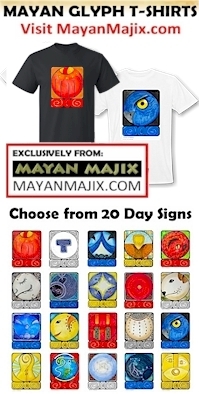 It can feel like time is speeding up, though as predicted by the Maya, it’s Change that’s speeding up. Our Reasoning Mind has more and more information to process in a shorter amount of time. This energy is helping Human give birth to its Spiritual Gifts. Our perception and way of thinking is being birthed through the chaos of change. When we have the Faith to Believe, we can live by Intuition. When our Higher and Lower Self exist in a Right Relationship of Love, we’ll be released from the Reasoning of the Ego and live by our Divine Instincts. The Cherokee Rattlesnake Tooth is Spiritual Medicine of the shaman. It was used to mark the skin in a ceremony of healing. It left a permanent mark of a transformation. It is also the sign of the Rainbow, displaying the electromagnetic rays of the sun. This is a day to watch for signs and wonders within our Self. To all my relations, today we are offered a “second wind.” May we see that with each step of Faith, we generate the unseen power of momentum. This is the force that will carry us beyond our last milestone. May we re-member that our Spiritual Transformation is a Dream that will be Manifest by an Almighty Creator. May we volunteer to “bear the time” and accept that we must also Know the Darkness to See the Light. May we also remember the magic of our Gratitude as the Spiritual Tool we can use to regenerate our Power of Spirit.